With over a billion unique hits a month, it’s fair to say that YouTube offers a potential audience it’s hard to ignore. But before you go rushing out to create your own internet video sensation, it’s also worth remembering that, according to YouTube itself, over 100 hours of video action is uploaded each and every minute. That’s a lot of competition for attention, so how can you create a video that’ll really boost your business? First, forget ideas of mass global virality. The chances are you’re not going to produce something that attracts the amount of clicks as, say, a bulldog on a skateboard. That’s OK. You don’t need everyone to see your video, just the people who matter, people who might be interested in your product or service. You need to focus on your product’s strengths and find a way to focus a narrative around them. Narrative is important; if you don’t tell a story, your video will be unstructured and probably of little use to your audience. People need a framework for their journey. At the same time, don’t make a five minute sales pitch, develop a little story around your product, with the climax being how it helped solve a problem. And note the word ‘little’ – don’t make your video overlong. Four or five minutes max is plenty. If you’ve got so much content you can’t fit it into a five minute vid, perhaps you need to consider a different medium. Similarly, if you’re struggling to make your idea ‘fit’ into the format of a video or a story, which could be a sign you should be seeking to spread your message another way. And be sure to include at least one annotation – your call to action. Visit our website, buy our product, and so on. If you don’t include that, your video is pointless. Feel free to include more than one – but make sure there is, at least, one. Here are some very handy tools for anyone involved in making YouTube videos. Now you’ve got your story – and you’ve done your filming – these should help you refine it. Easy to use from right within YouTube, it offers simple editing tools and allows you to add annotations. Animoto puts together a selection of your photos, video clips and music to create some lovely – if you’ve used it properly – video pieces showcasing what you do. And you can then upload the results straight to YouTube. This tool examines all your raw footage and tells you which of it it thinks would make the best video, allowing you to add annotations and music. It’s not perfect, but a little practice can produce excellent results. This one tells your story through cardboard cut outs and whiteboards, making complex ideas look very simple. You’ll have to pay, but this is definitely worth a look if you’re going to be making a lot of vids. You need to think about what goes on around it. As important as your video is, so is its title, description and tags. Include a keyword in your title to help you in the search rankings. Then make sure your video description features quite a few keywords (no stuffing though! ), and be sure to insert your website or blog address too. Make sure you use tags relevantly as well, to highlight exactly what your video is all about. Your keywords should be your tags. Doing all this effectively can really help people find your video, both through Google and YouTube’s own search engine. Your YouTube page is part of your branding and should be treated as such. 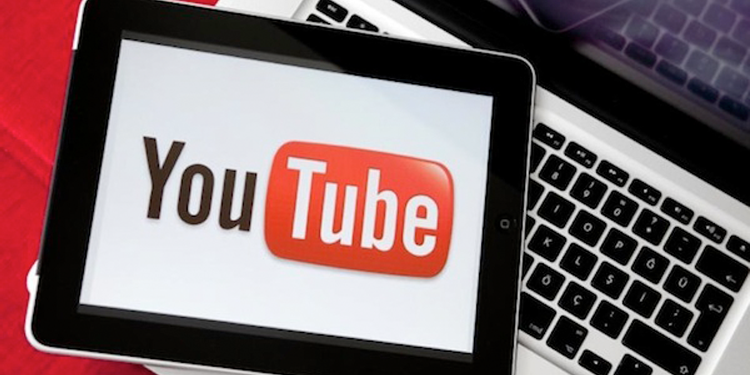 YouTube offer plenty of customisation options, so take them. Ensure your page features your logo and your company colours, and that all copy is in your own house style to really make the most of strengthening the brand. Now people know that your page is, well, your page, you need to set about making sure people stay there for your content. Feature your best videos in the right hand column – your playlist – offering up the content of yours that’s most relevant to your consumers. And now you’ve done all that, you can sit back and relax, right? Nope, not yet. You haven’t told anyone your video exists, so who’s going to watch it? YouTube offers up plenty of sharing tools, so use them; tell all your Twitter, Facebook and LinkedIn (and wherever else) followers all about your super new vid. If you don’t, you’ll perhaps be a tad disappointed when you look at the viewing figures. And speaking of those, YouTube also provides lots of analysis tools that tell you who’s been watching your videos, how they found them and where they’re from. Take advantage of these, it’ll help you figure out who your audience are and decide what sort of content is most likely to appeal to your audience in the future. Finally, make it fun! Nobody wants a stuffy corporate explanation of what a product does, be creative, use humour and tell your story.